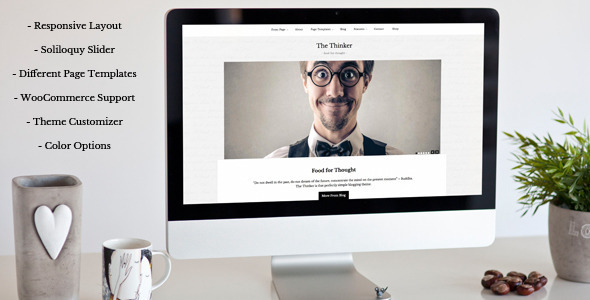 “The Thinker” is a perfectly simple blogging theme. It has just enough detail without being flashy and just enough features not to get complicated. 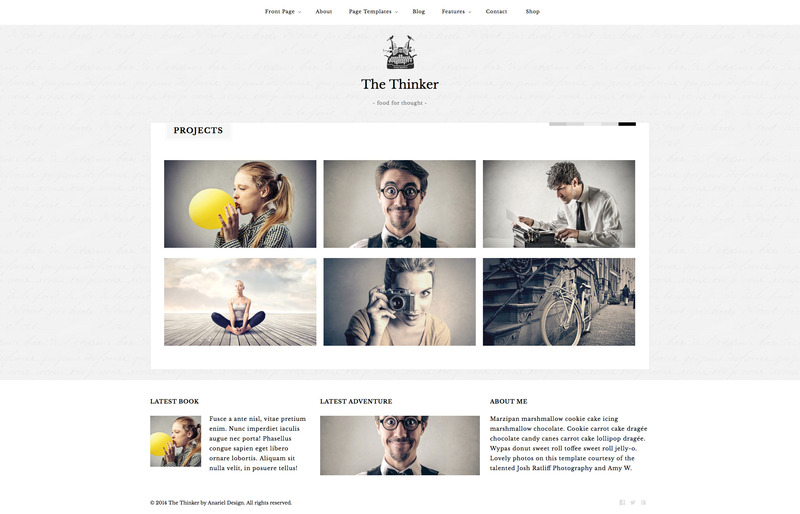 Beautiful typography and clean layout are a must for any modern blogger and this is where “The Thinker” excels. 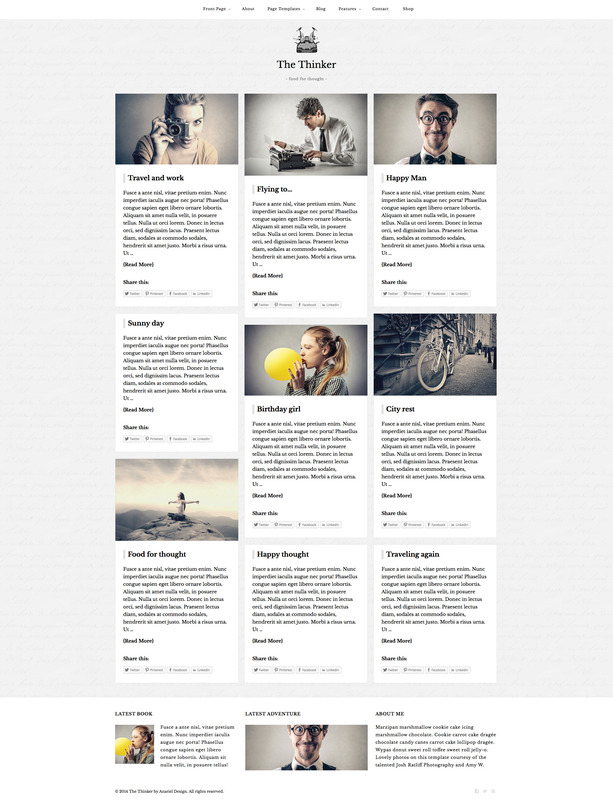 It keeps readers focused on the content while creating relaxing environment for the eyes. Nice responsive behavior keeps that perfect balance across the whole range of internet capable devices. 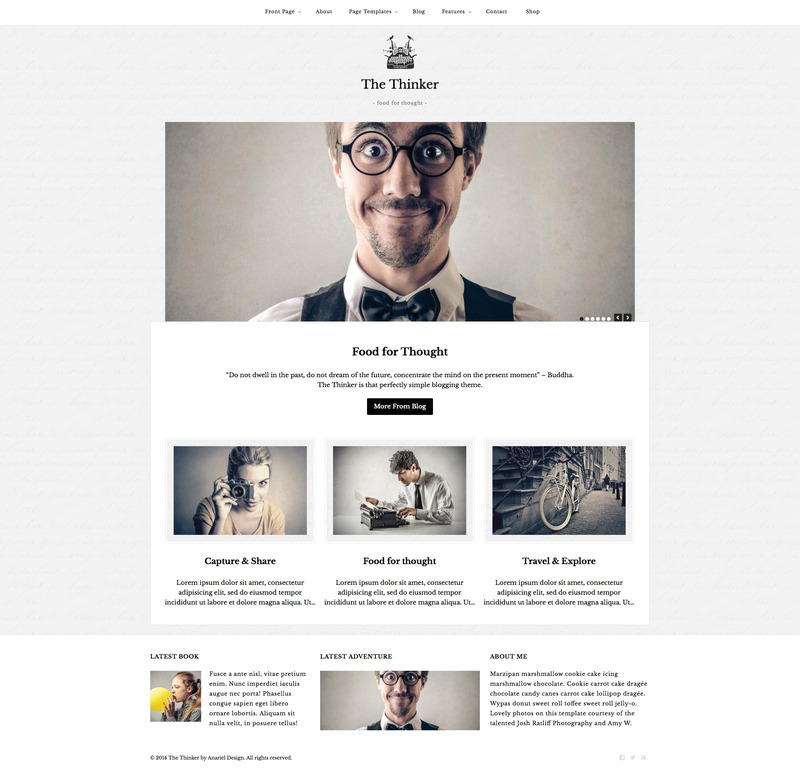 Be it a 4” smartphone, 10” Tablet or a 27” screen this theme will hold its own character and content oriented approach. 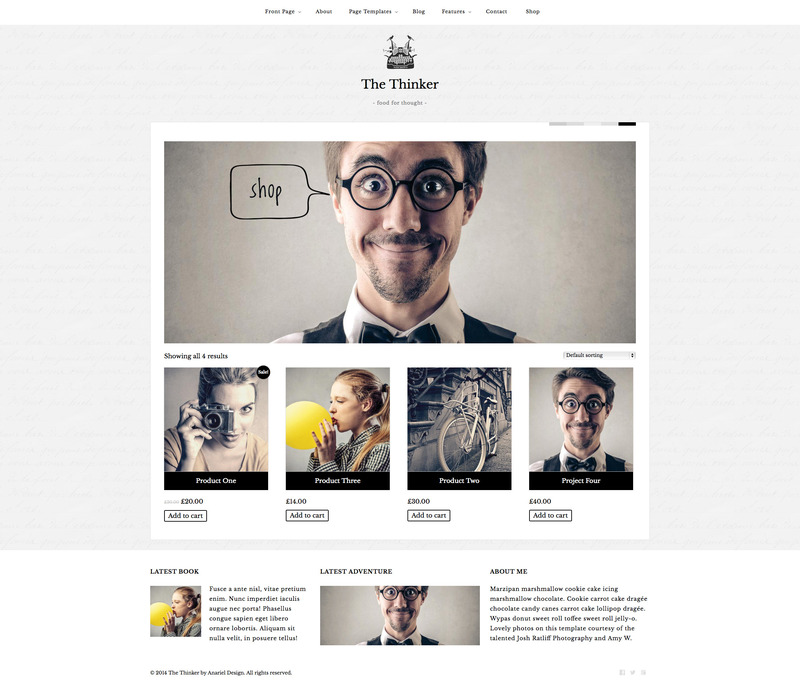 As a bonus this theme comes with a couple of custom page templates (including shop), color customization options and a top notch slider that will help to further customize the theme.